In programing there is the concept of code re-use, which is re-using the same code for something else. This applies in the real world too. 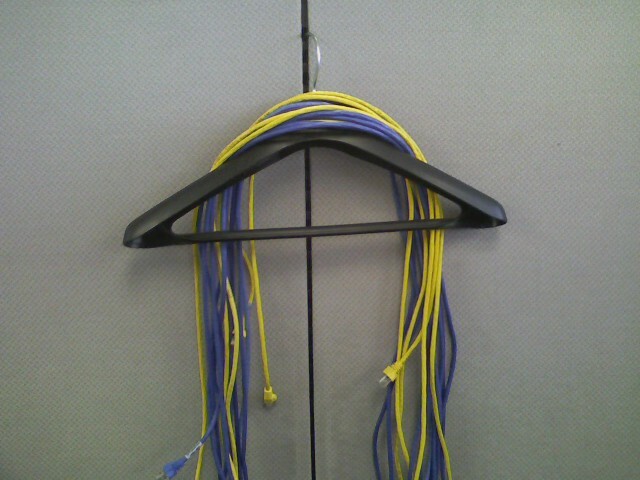 I found a new use for a clothes hanger. It holds my various Ethernet cables so I can tell how long they are. I guess it’s not a new use; I’m still hanging something on it, but it works.